Alcatraz! A visit to another kind of “Island Life”. A visit to another kind of “Island Life”. My sister’s and I are on a trip with our Mom. We took the ferry around this “Island destination”. How big was the average cell? How many cells were there? There were 336 cells in B & C Block. There were 36 segregation cells, and 6 solitary confinement cells in D-Block. Were Alcatraz inmates allowed visitors? Yes. Inmates were granted one visit per month and each visitation had to be approved directly by the Warden. All conversations were monitored. Where did the families of the guard staff live? At any given time, there were about 300 civilians living on Alcatraz that included both women and children. Families enjoyed their own bowling alley, small convenience store, and soda fountain shop for the younger island residents. Families did most of their shopping on the mainland since the prison boat made twelve scheduled runs to the Pier each day. Do the inmates who were imprisoned at Alcatraz have anything good to say about the prison? Actually, yes. By having your own cell, it reduced the chances of being sexually violated and the privacy aspect was also a cherished benefit. What did inmates dislike most about Alcatraz? The common theme expressed by most inmates was the rule of silence which was discontinued in the late 1930’s. How many people died while at Alcatraz? There were eight people murdered by inmates on Alcatraz. Five men committed suicide, and fifteen died from natural illnesses. No executions were performed. 36 prisoners were involved in various attempts. Two inmates actually successfully made it off the island but were quickly captured. Seven inmates were shot and killed trying to escape. Two drowned and 5 inmates have been unaccounted for presumed drowned. Primarily because of rising costs and deteriorating facilities. 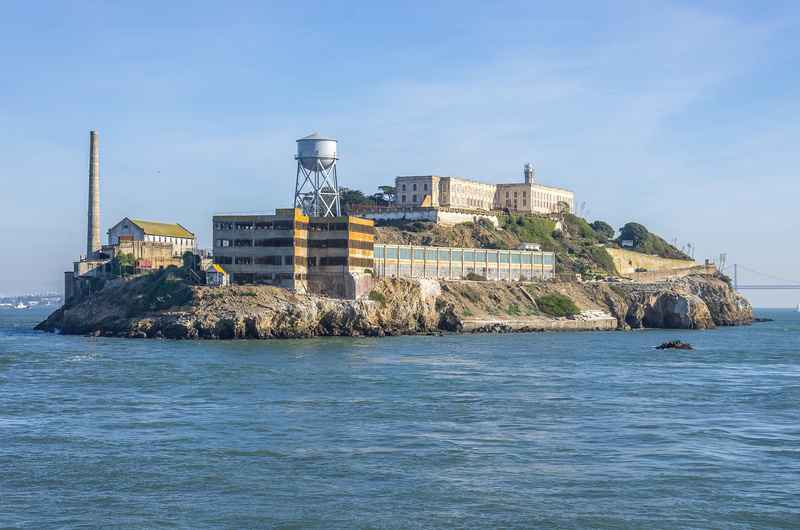 Who were the most famous inmates to reside on Alcatraz? Al Capone, George “Machine-Gun” Kelly, Alvin Karpis (the first “Public Enemy #1”), and Arthur “Doc” Barker did time on Alcatraz, most of the 1,576 prisoners incarcerated there were not well-known gangsters, but prisoners who refused to conform to the rules and regulations at other Federal institutions, who were considered violent and dangerous, or who were considered escape risks. Did Prisoners have any privileges?